The Best Workplaces in Texas stands out for excelling in the state’s competitive marketplace. Currently, TimeClock Plus serves over 6,000 clients across the state of Texas, including school districts, higher education institutions, corporations, and small businesses. 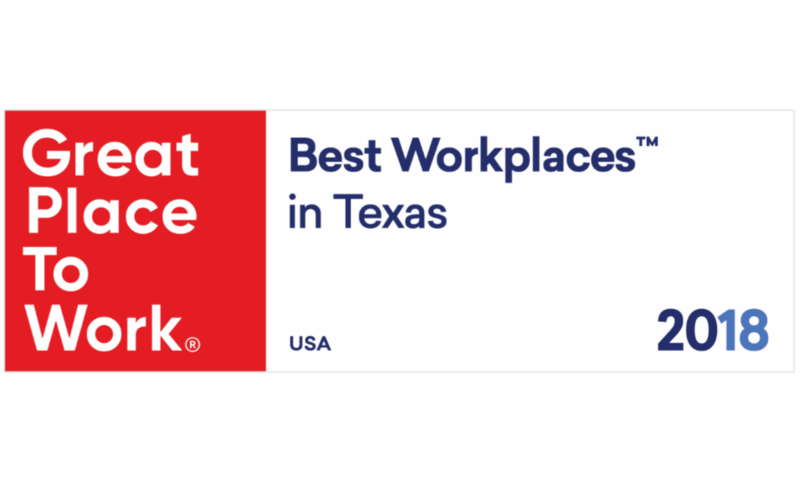 The Best Workplaces in Texas is one of a series of rankings by Great Place to Work and FORTUNE Magazine based on employee feedback from Great Place to Work-Certified™ organizations. TimeClock Plus was also ranked as a Best Workplace for 2017 and Best Workplace in Technology by Great Place to Work and FORTUNE. Data Management Inc. (DMI) is the premier provider of workforce management and data collection solutions that help organizations realize the true value of their workforce by streamlining existing business processes and providing tools to enhance productivity. TimeClock Plus is an industry-leading, award winning, nationally recognized workforce management solution. A provider for more than 60,000 small business and enterprise level organizations, TimeClock Plus focuses on providing “best-of-breed” solutions for time and attendance, scheduling, workforce analytics, regulatory compliance, and employee self-service. To find out more about TimeClock Plus, visit our website www.timeclockplus.com. Great Place to Work is the global authority on high-trust, high-performance workplace cultures. Through its certification programs, Great Place to Work recognizes outstanding workplace cultures and produces the annual FORTUNE “100 Best Companies to Work For®” and "Great Place to Work Best Workplaces" lists for Millennials, Women, Diversity, Small & Medium Companies, Industries, and International Countries and Regions. Through its culture consulting services, Great Place to Work helps clients create great workplaces that outpace peers on key business metrics like revenue growth, profitability, retention, and stock performance.